Kukui nut oil (pronounced koo-koo-ee) is a luxurious oil that comes from the kukui nut tree. The kukui nut (or candelnut) tree is the state tree of Hawaii, and residents there have used the oil for many years. It’s commonly used in massage and face oils because it’s lightweight and does not leave skin feeling greasy. Learn more about kukui nut oil here. 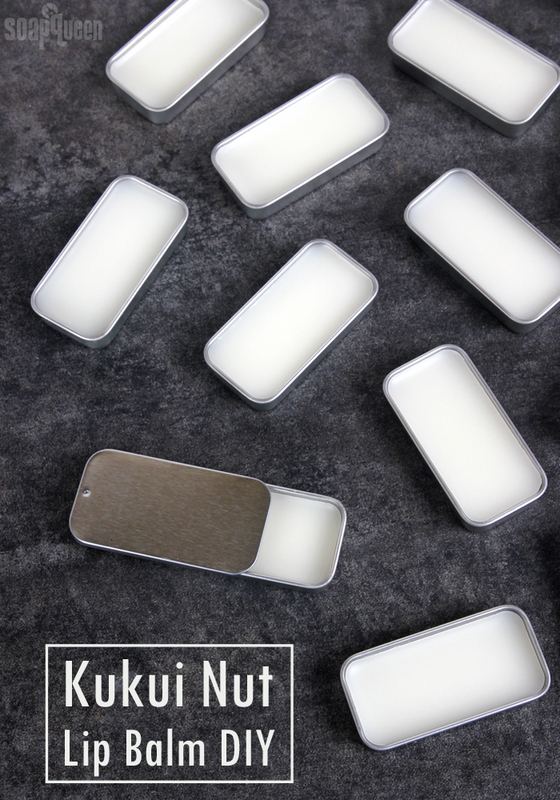 This simple lip balm combines kukui nut oil with another popular tropical ingredient – coconut oil! A bit of white beeswax gives the lip balm firmness. Depending on how firm you’d like the balm to be, you can increase or decrease the amount of beeswax. 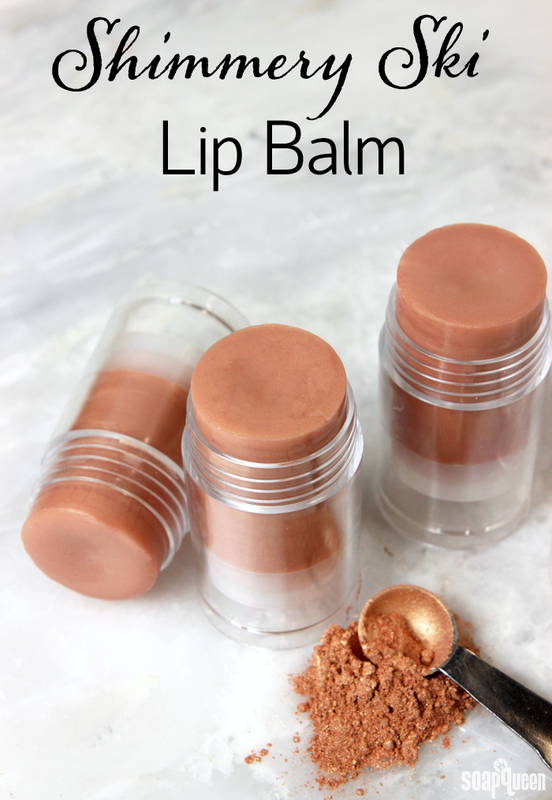 Read this post to learn more about creating your own lip balm formulas. 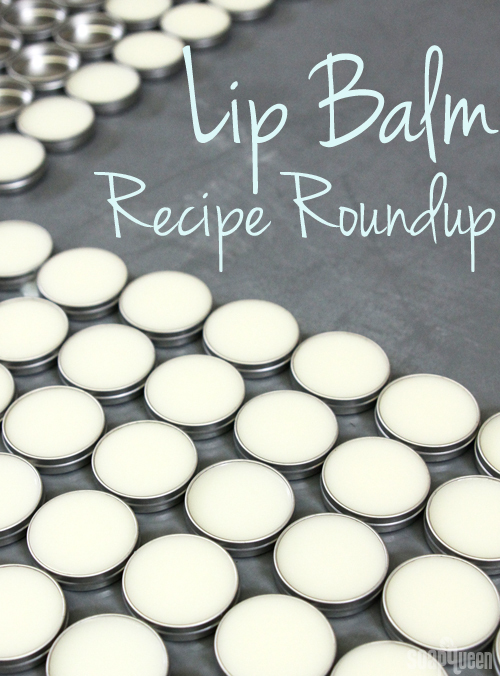 A touch of Coconut Flavor Oil gives the balm a light, tropical scent. If you’re unfamiliar with flavor oils, they are essentially lip safe fragrance oils. Interestingly, they don’t flavor the balm, but instead give it scent. 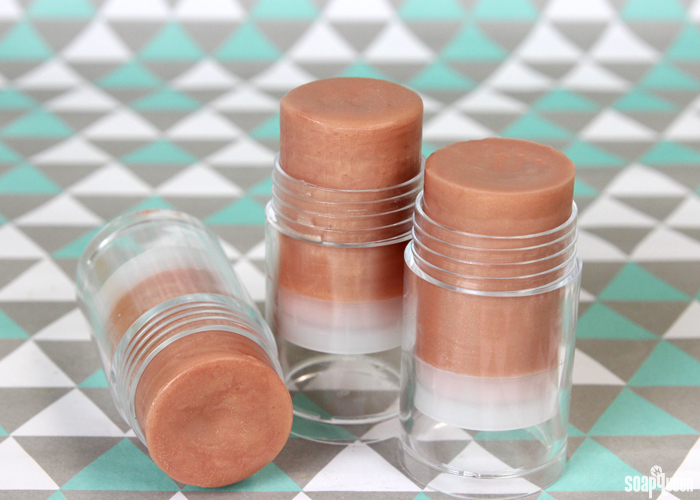 If you’d like to “taste” the balm, you can add a touch of sweetener like Stevia or the Lip Smacking Sweet Flavor Oil. 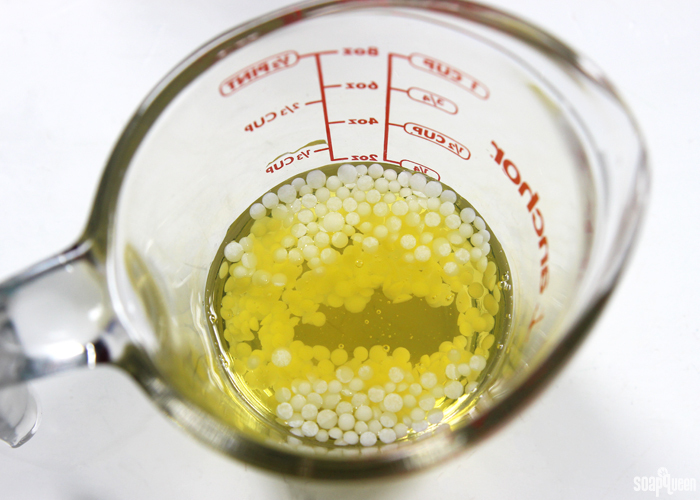 Learn more about using flavor oils here. Summer is the perfect time to try bright makeup colors. If the idea of bright cosmetics makes you feel a little intimated, sheer lip colors are one way to try the look without committing fully. 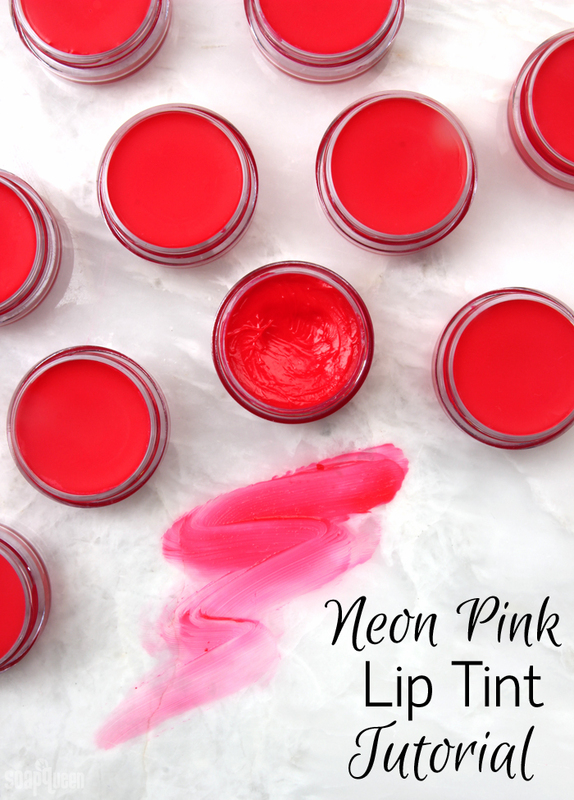 This Neon Pink Lip Tint has a sheer yet buildable color. Use your fingers or a brush to apply a thin layer for a tint of color, or apply more with a lip makeup brush for a more bold look. I designed this recipe to be simple and easy to make. Avocado oil and cocoa butter are added to moisturize lips, while beeswax gives the tint a solid texture. The tint gets its hot pink hue from Fired Up Fuchsia Colorant. It’s mixed with some of the avocado oil using a Mini White Plastic Mixer. This helps get rid of any clumps and mix in smoothly. Cocoa butter is a hard vegetable fat with a distinct, chocolate-y aroma that is extracted from the cocoa bean. A major ingredient in chocolate, cocoa butter is commonly used in bath and body products due to its skin-loving properties. Because of its hard texture and warm smell, cocoa butter makes a fabulous addition to soap, lip products, body butters and more. Cocoa butter is available in two varieties: deodorized cocoa butter and non-deodorized. Naturally, cocoa butter has a deep eggshell color and a warm, chocolate smell. Deodorized cocoa butter is deodorized via steam injected into the melted cocoa butter to “drive off” the components which contribute to the odor. 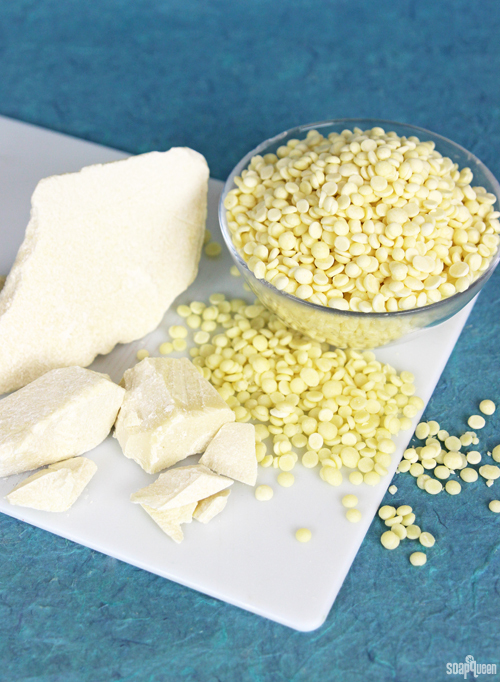 The product is then treated with diatomaceous earth (clays) which remove the color agents. The result is a butter that is lighter in smell and color. When deciding between the two, consider how your project will be affected by the color and smell of cocoa butter. Because of its naturally chocolatey scent, cocoa butter can hide some delicate fragrances, so keep that in mind when working with more faint fragrances. Handmade gifts are a special treat during the holidays. Giving someone a gift you worked hard on is a great feeling. 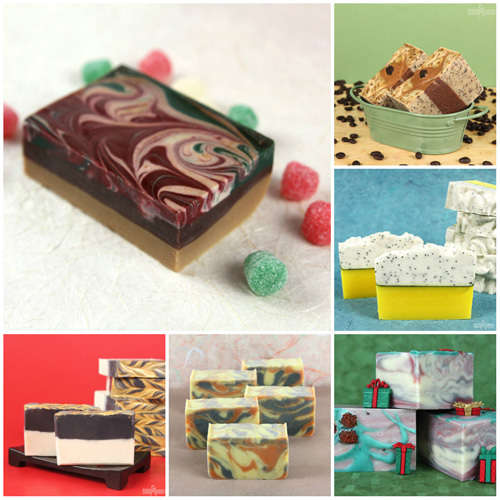 Handmade gifts – especially cold process soap – do take time to prepare. That’s why it’s a good idea to get started now. If you need some ideas, there is plenty of Handmade Holiday Gift Inspiration to go around. With the end of summer in sight (why yes, it has been raining here all week; thanks for asking), we are making the most out of the sun with recipes to keep skin hydrated. Summer means clothing like tank tops and shorts, which means more shaving. 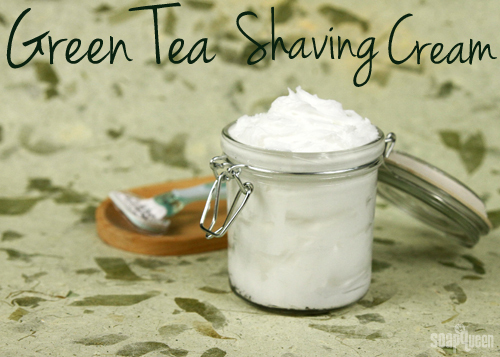 Not to worry, we’ve got you covered with the Sunday Night Spotlight: Foaming Bath Whip + Green Tea Shaving Cream Tutorial. With moisturizing ingredients like Vitamin E Oil, Green Tea Seed Oil and Green Tea Extract, it leaves your skin feeling soothed and fresh. 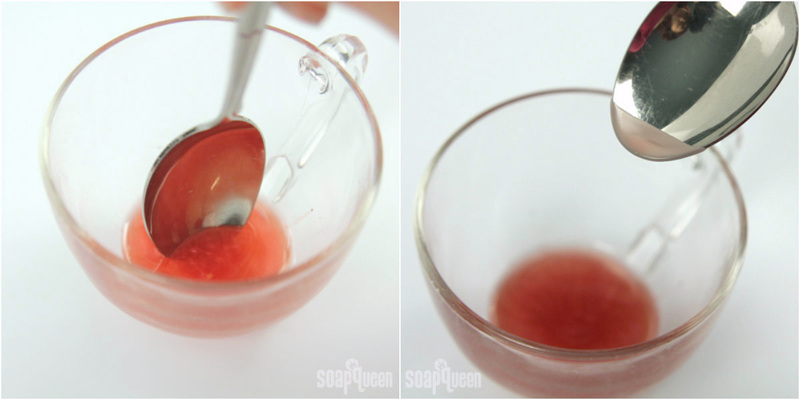 Foaming Bath Whip can also be used for other recipes, as seen in this Rose Clay Sugar Scrub. Creating lip products is a great project for beginners and more experienced crafters alike. 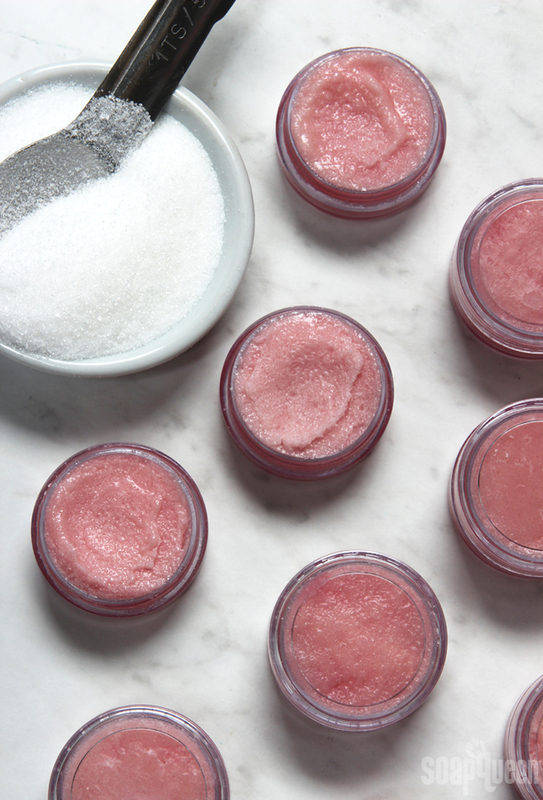 The best thing about making your own lip products is the ability to customize everything from the texture, color and moisture. 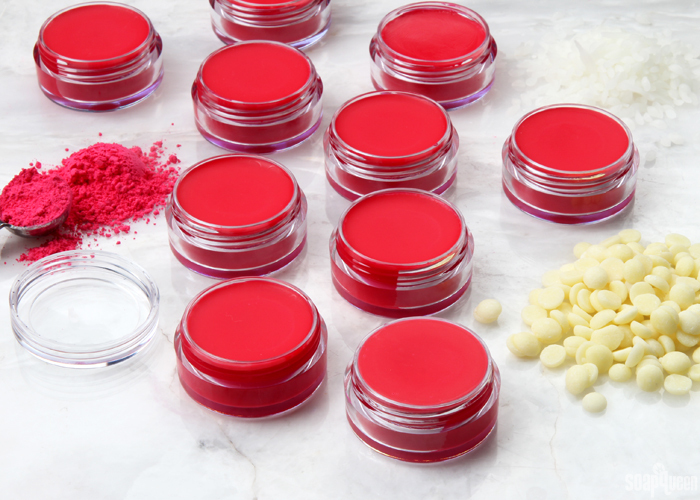 With a wide range of ingredient options, creating the perfect lip balm, lip stick or lip scrub is easy and fun! This week was chock full of information, from oils and fragrances to organization tips. 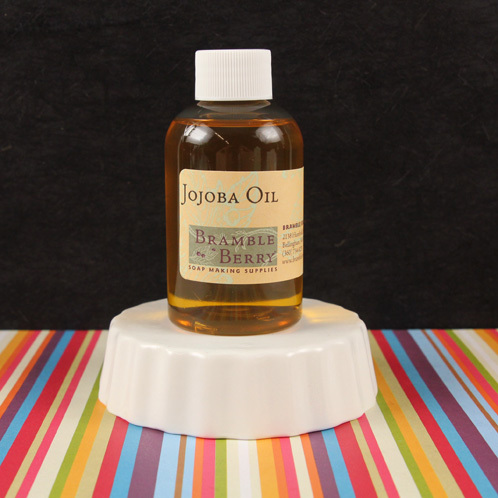 The Sunday Night Spotlight: Jojoba Oil explains how this versatile product is somewhere between an oil and a liquid wax, and how it can be used in scrubs, lotions, lip balms and cold process soap. Have you used Jojoba Oil in your products? Temperatures are heating up and the sun is out in full force — even in the notoriously dreary Pacific Northwest (yes, today was a tank top kind of day)! 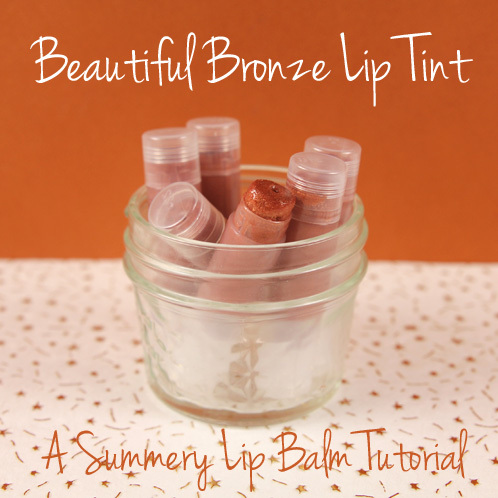 Turn up the heat on your daily beauty routine with this Bronze Lip Tint. 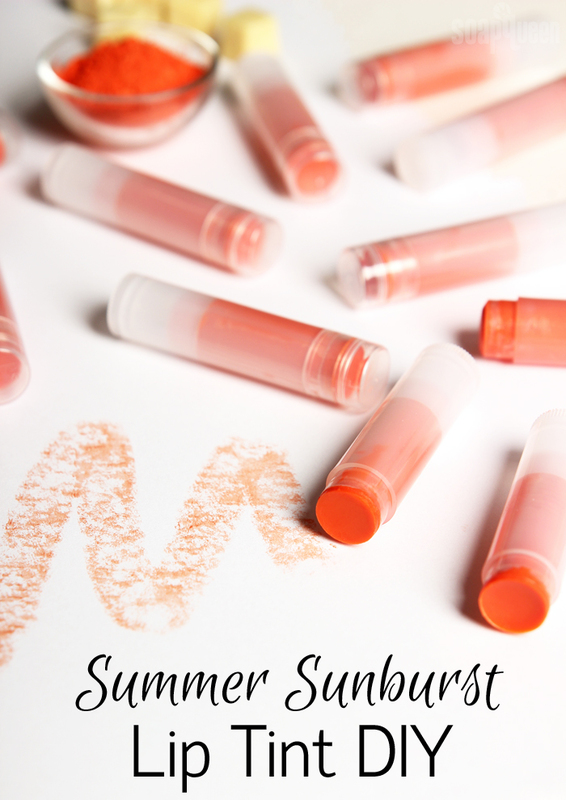 It’s perfect for adding a subtle hint of warm color to your lips. 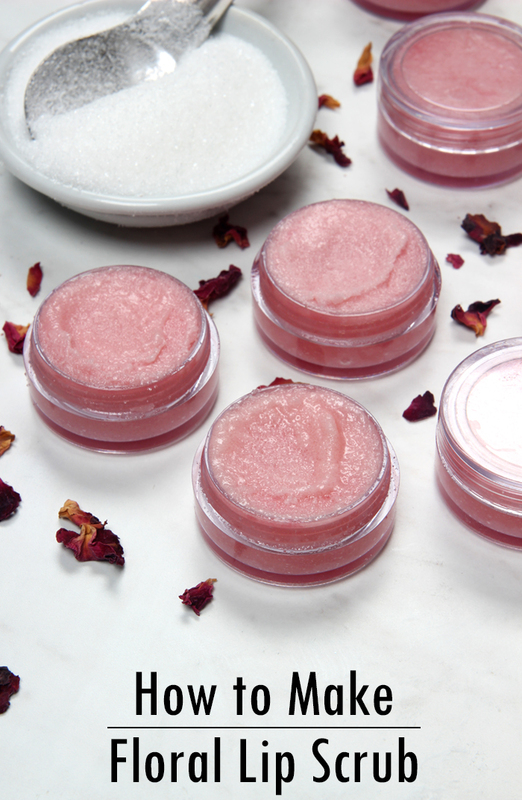 Made with the Nourish Lip Balm Base and colored with a gorgeous assortment of micas, it’s a quick and easy lip balm that’s great for daily wear. 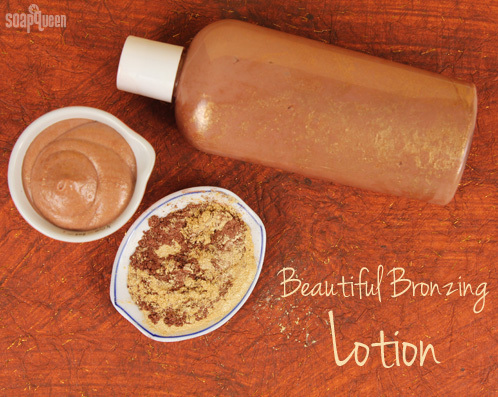 Be on the lookout for more projects to give you a summer bronze glow coming later this week! Subscribe to our newsletter to receive an exclusive tutorial straight to your inbox tomorrow, and keep your eyes on the Tumblr and the Soap Queen blog for more projects. For commanding attention in a room, nothing beats a bright red lip. Classy and sophisticated, this look is as stylish now as it was in the 1950s. 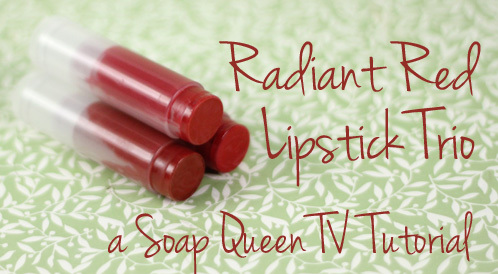 In this episode of Soap Queen TV, you can learn how to make your own hyper-pigmented lipstick in three different shades. 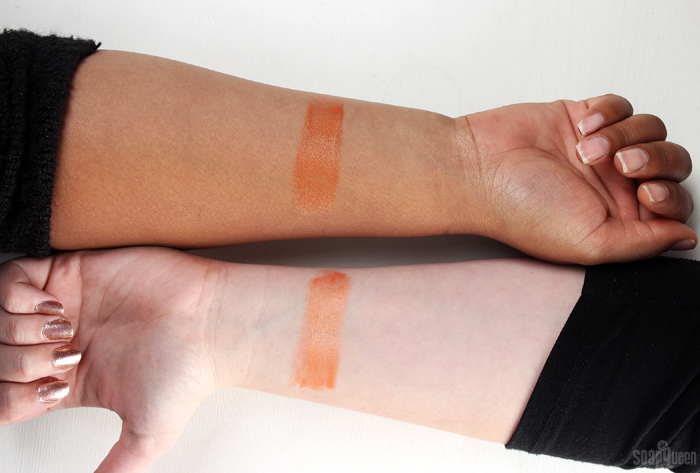 Whatever your skin tone, one of these shades is sure to complement! The base is a combination of nourishing oils and waxes, and the different shades are tinted with a variety of lip-safe micas, oxides and pigments. 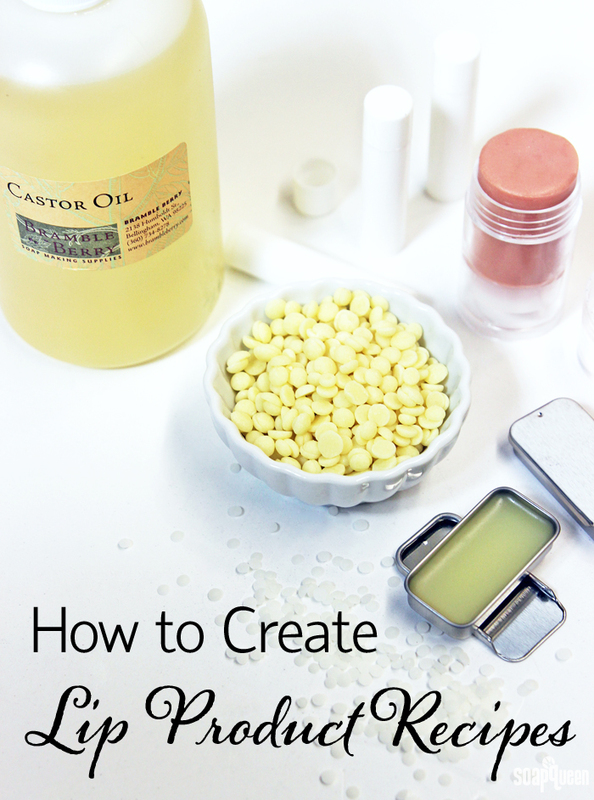 When you’re done with this project, easily clean the oily containers with the cool trick we show you in this Soap Queen TV episode. Happy lipstick making!